Keeping complex, mission-critical IT projects on track demands a high degree of focus and skill. Leading an IT program (a group of interrelated projects) requires significant effort and coordination. Naturally, organizations often assign their best leaders to run these efforts. These individuals can easily find themselves consumed with other priorities while trying to juggle two roles at once, or they may struggle with handling the different skills required to run a project or program instead of a line organization. Project and Program Management is a core competency at JCS. 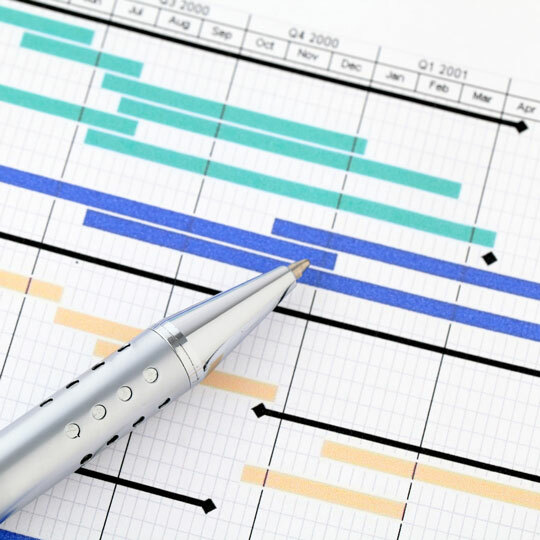 We can help you successfully manage a single project or an extensive, multi-tiered program. Members of our team can step in and fill one or many of the key leadership positions on an effort, or we can work in partnership with your internal leaders to assist in these important roles. Management & Control - These are the fundamental activities associated with monitoring and managing work plans, budgets, milestones, staffing, project issues, other related projects, and so on. This also includes communication with executives, end users, project team members, and key stakeholders. For more information on how we can help with these activities, please click on the link above. Risk Management - Good project and program managers recognize that all projects have inherent risk. The important thing is to identify what those risks are, and to develop strategies and plans to mitigate and manage them effectively. For more information on how JCS can help with risk management on your projects and program, please follow the link above. Change Management - Almost all IT projects end up, at some point, identifying needs that were not anticipated or understood at the outset. Having a process in place to appropriately identify, document, and scope these changes is critical. It is also imperative that you have a process in place for determining whether (or how) to address these unanticipated needs. For more information on how we can help you manage change on your projects and programs, please click on the link above. Quality Management - On a critical project or a large, complicated program, a small problem left unattended can easily blossom into a major issue. Quality Management involves putting mechanisms in place to identify problems early and resolve them effectively. For more on how we can help with Quality Management on your project or program, please follow the link above. Benefits Realization - When an organization makes a significant investment in an IT project or program, it does so because it expects to gain some sort of return, or benefit. Determining just what those benefits are and how they can be effectively measured in order to justify the project is an important part of good project and program management. 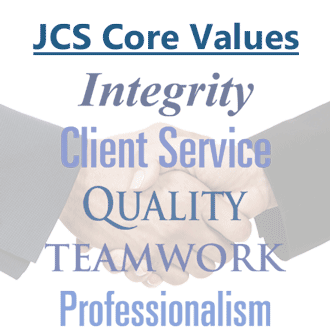 For more on JCS Benefits Reailization services, please click on the link above.